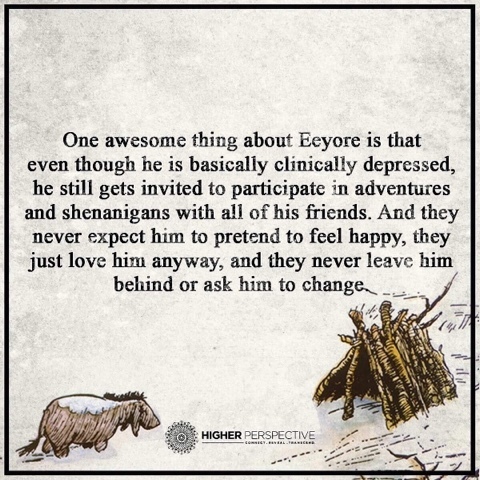 I think it is high time the church began to look more and more like the friends of the hundred acre wood. Depression is a serious issue, one that we have neglected to teach on. And the answer is not to try and "fix people", but just love people... The way Jesus loved people.